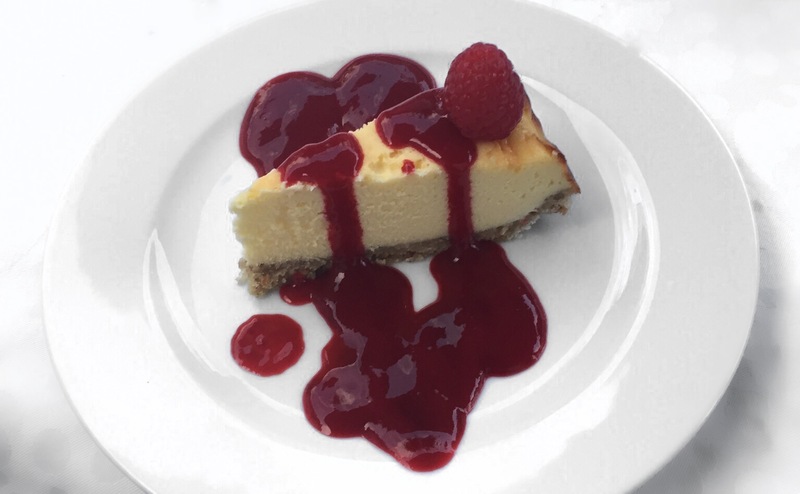 Another new favourite of mine in central London – Café Monico is a new brasserie by Soho House that is just in the centre of Shaftesbury Avenue. Recommended to me by a colleague, I couldn’t say no after scrolling through their menu. Having arrived early (as usual), I started the evening waiting for my boyfriend at the bar downstairs with a glass of wine and just loved the people watching – the atmosphere was buzzing with business men and women standing around with plates of charcuterie and cocktails. As a main course, we both had the moules frites which, as you can see, went down very quickly. The garlic and wine sauce was one of the best I’ve had. At this point, you could tell that the plays in the area were ending as the place filled up and the waiters were getting more and more difficult to reach. However, it was a lovely evening with lovely food and lovely wine and I’m already looking forward to our next trip! If you haven’t yet heard of the Hemsley sisters, you’re missing out. After they created a complete spiraliser craze a couple years back, I was one of the first to pick up their cook book ‘The Art of Eating Well’ and it’s become my new food bible. Most of their recipes are low carb and gluten free, and they talk you through fresh ingredients and the best produce you can use for each dish. The recipe is pretty simple: add garlic, anchovies and thyme to lamb and leave it covered in the over for 3 hours. 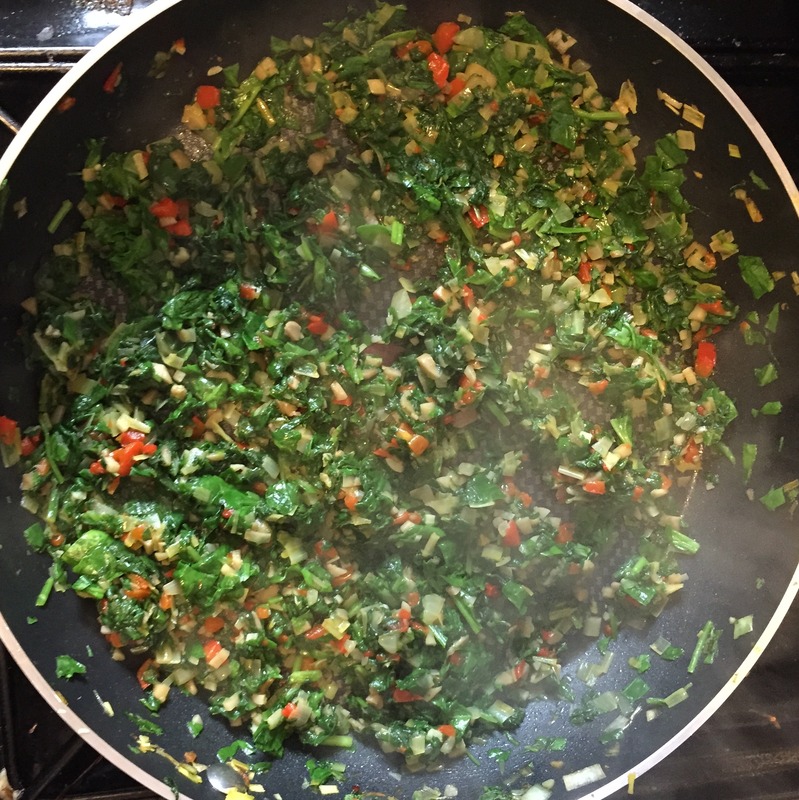 The kale & leek salad needs to be done at least an hour or two before serving, as you mix it with olive oil, mint and lemon, which helps soften the kale over time. Try this out and let me know what you think – if you like it I’d also recommend their ragu or curry with coconut rice recipes, or my cucumber salad that was inspired by this book. The best way to celebrate two years together, you ask? Steak. Lots of it. Soooo in order to pull the good girlfriend card, I left work as early as possible and got to the restaurant by 6, to add myself to the hour long waiting list. Met the boy at our favourite pub around the corner just in time for a drink, and got a text about 45 minutes later saying our table was ready! Walked past the incredible bar in the centre of the restaurant while being seated, with a casual bartender chipping off ice from a big block of ice into an endless row of cocktails. Then steak. That’s pretty much the menu, and I approved… big time. The steak was perfect, the wine was perfect, the fries were perfect… and cheap too! For such a fancy meal, I was pretty sure they’d given us the wrong bill by the end of the night! The meal was also rounded off perfectly, when the lovely waitress gave us mini steak knives, which were our tokens for free salted caramel ice creams! We walked out very full and very happy, with salted caramel ice creams to go. By this time the waiting list had extended to THREE hours! 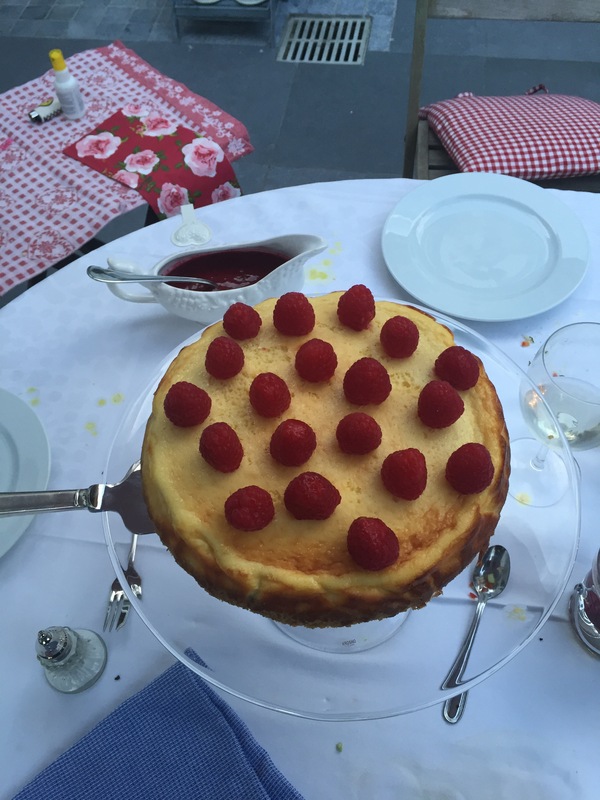 My favourite cheesecake ever is the recipe from Le Pain Quotidien. 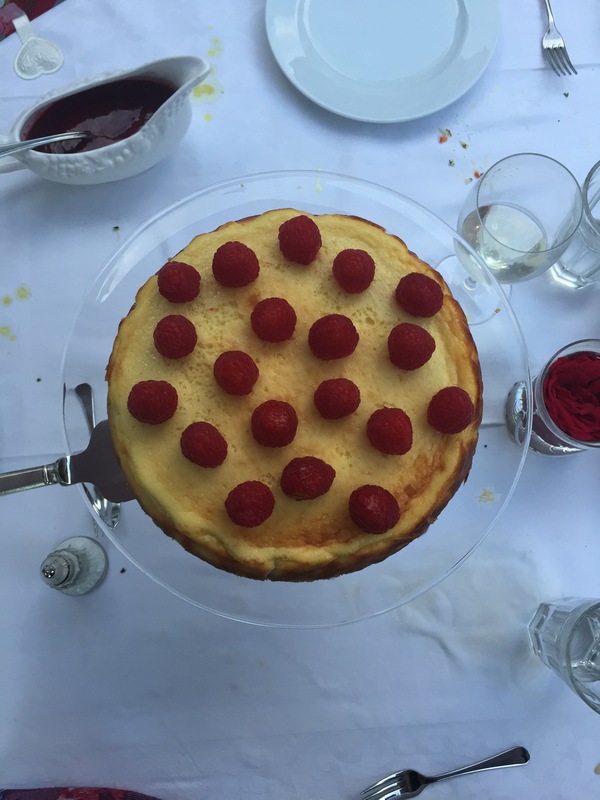 This one here is a gluten free adaptation of that recipe, hope you enjoy! Mix two teaspoons of sesame oil, a teaspoon of dark soy sauce, a sprinkle of garlic powder and some chilli flakes into a small bowl. Add salt and pepper to taste, then set aside. In a small pan, slowly roast about a tablespoon of sesame seeds until golden brown. Make sure to shake the pan regularly a keep an eye on it because they burn VERY quickly. Leave to cool. 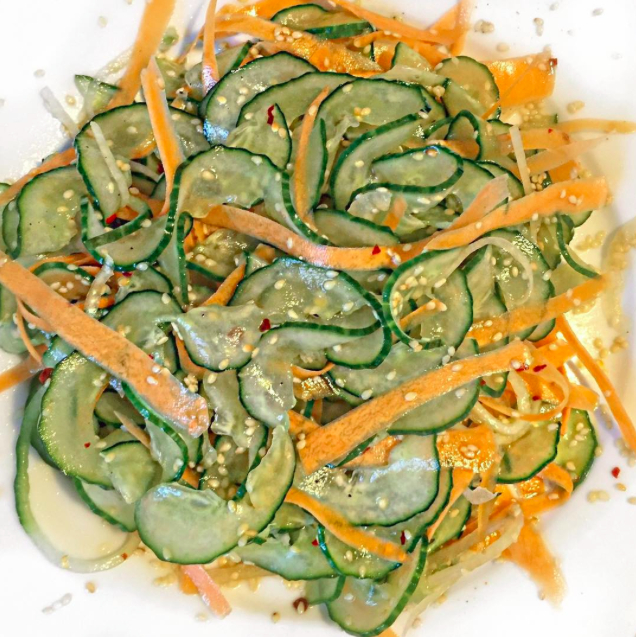 Spiralize one large (preferably cold) cucumber & a carrot, and mix all the ingredients together in a large salad bowl. Break the stems off the mushrooms and save for later. With a little oil, put the mushrooms into a gas mark 6 oven for 10 minutes. 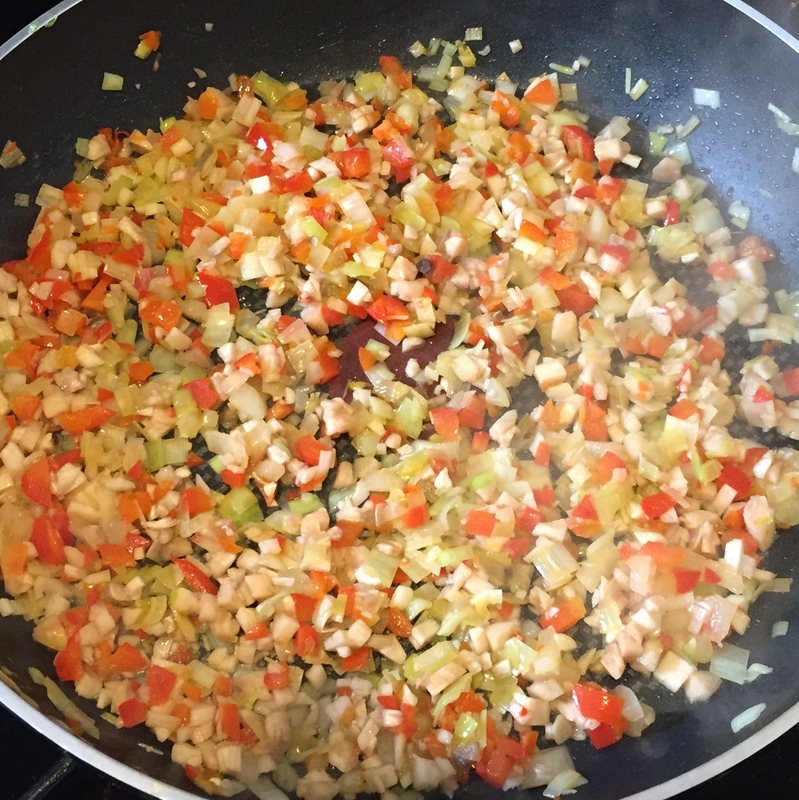 Finely chop the onions, leek, pepper and garlic and cook down in a pan on a low heat with a little olive oil. I recommend Jamie Oliver’s Tefal pans, they’re amazing. 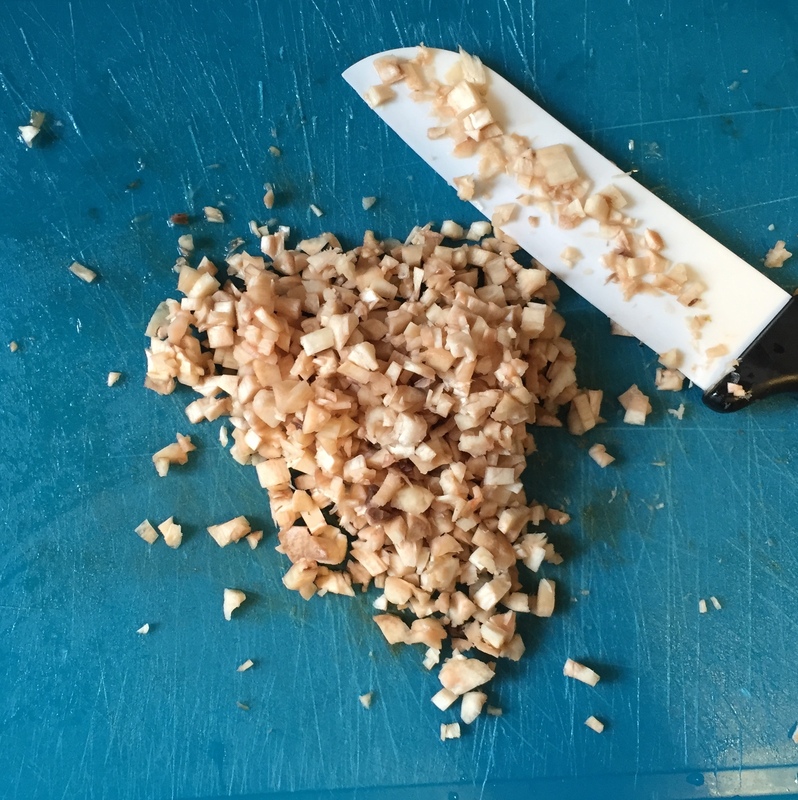 Finely chop the mushroom stems too. 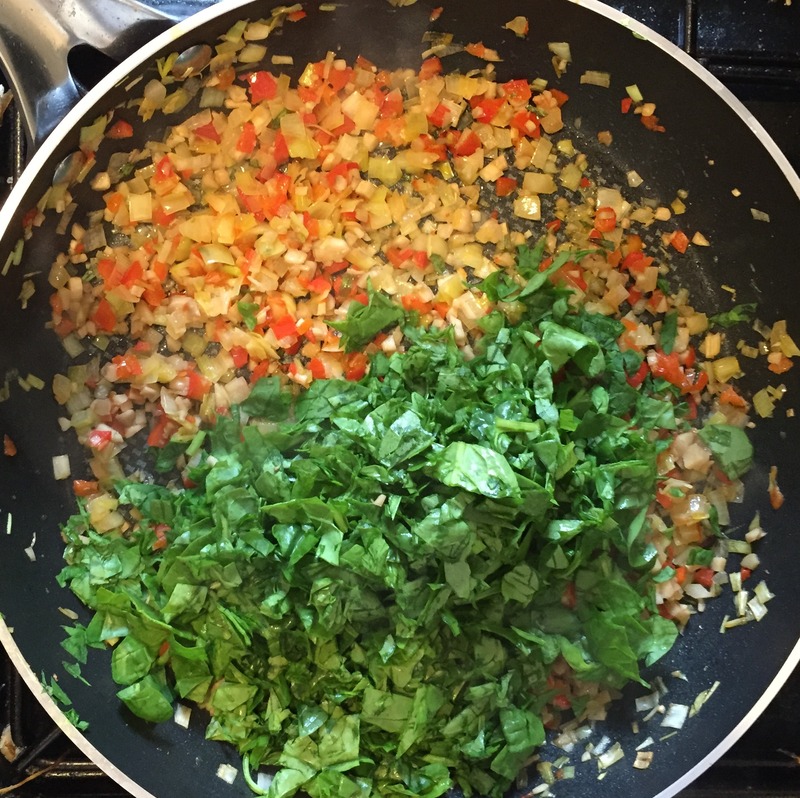 Once the veg has softened, add the mushroom stems to the mix and add a little salt. Leave the mix took down for about 15 minutes, and then begin roughly chopping the spinach leaves and bit by bit slowly to the mix. I love ceramic knives for chopping veggies, in the photo I’m using this one. Turn the heat off and let the mix cool down. Once cool, use a teaspoon to fill the mushrooms with the mixture. Add as much grated cheese as you’d like! 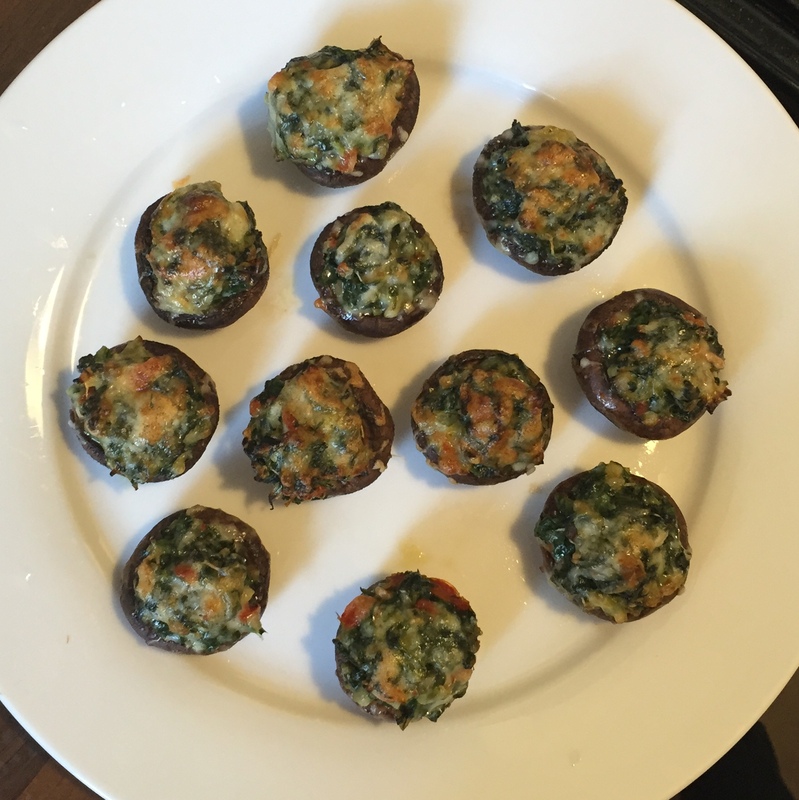 Pop the stuffed mushrooms into the gas mark 6 oven for another 10-15 minutes, and add more cheese halfway through cooking if you’d like.